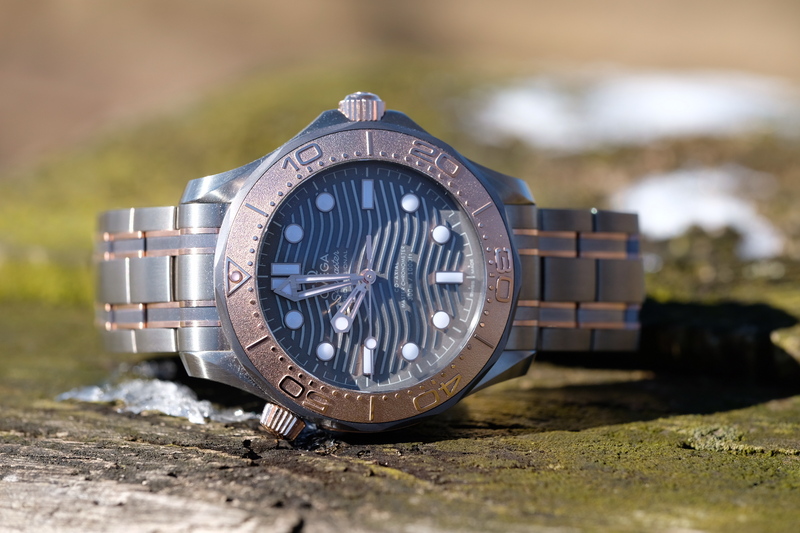 The new diver is beautiful and has received excellent reviews but the new LE Titanium/Tantlum/Sedna gold is beautiful in its own rite. They are just hitting the boutiques on east coast of USA and I love mine. Worth considering if anyone is interested. Thank you! PS - Sorry, I should have cleaned the watches better before photographing. Beautiful pair of Omegas. Congrats! Any other differences except color and the absence of the date ? Thank you all for the replies. 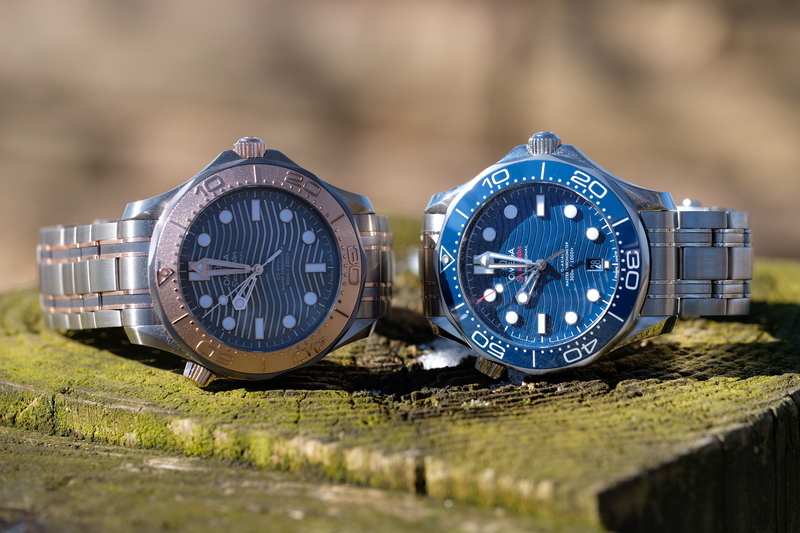 The differences between the LE and the production piece are the case, bracelet, dial and bezel materials. There is no steel or ceramic at all with this watch. Everything is either titanium, tantalum or sedna gold. The bezel is solid gold. Production limited to 2500 (25th anniv) and numbered plate on each watch. As you pointed out there is no date on this watch which makes the dial very appealing. The waves on the dial are relief cut and raised rather than laser cut. The presentation box is a stunning and clever porthole design. The wearability, design and movement are the same as the other models however this one has a very premium feel to it which is even more elevated than the production models. You have to hold/wear/see it to appreciate it. Thank ou all again and enjoy the weekend! I really like your signature!! HaHs!